The leading cryptocurrency by market capitalization jumped to $3,711 on Feb. 8 – the highest level since Jan. 19 – and ended that day with a 7.8 percent gain; the biggest single-day rise since Dec. 28, according to Bitstamp data. Notably, trading volumes jumped 54.6 percent to $7.73 billion on Friday, according to CoinMarketCap data. That was the first above-$7 billion print since Dec. 24 and the highest reading in nearly three months. Further, the three-day average of 24-hour trading volumes has jumped well above $6 billion for the first time since Dec. 25. The bullish breakout, therefore, looks legitimate and prices could soon beat the 50-day moving average (MA), which has been serving as a strong resistance since Friday. As seen above, BTC jumped to highs above $3,700 on Friday, confirming a falling wedge breakout, but failed to close above the 50-day MA. While that average hurdle has capped upside in the last 48 hours, the bulls have little reason to worry, as the wedge breakout is backed by strong volumes. As a result, the 50-day MA hurdle, currently at $3,642, could soon make way for $3,800 and possibly to the psychological resistance of $4,000. A convincing break above the 50-candle MA on the 6-hour chart also supports the bullish reversal signaled by the falling wedge breakout on the daily chart. That average had reversed several attempted corrective rallies in the last three weeks. As a result, the bulls may be feeling emboldened, having convincingly beat that stiff hurdle on Friday. 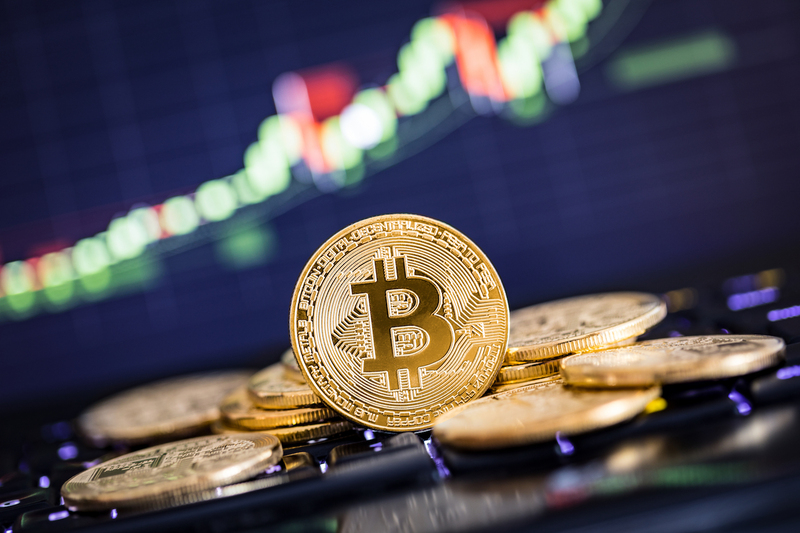 As seen above, BTC rose by 6.9 percent last week; the biggest weekly rise since mid-December; validating the bearish exhaustion signaled by the slide in volumes in the last ten weeks. The cryptocurrency also closed last week above the 10-week MA, neutralizing the immediate bearish view. Further, the 5- and 10-week MAs have shed bearish bias (are flatlined).